You’ve got (tax) questions and we’ve got answers! 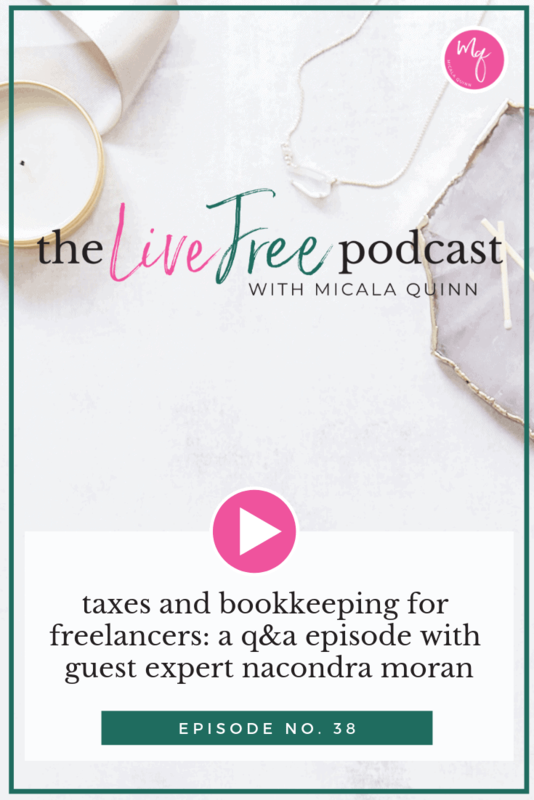 On this episode of the Live Free Podcast I’m speaking with Nacondra Moran about all things taxes and bookkeeping for mommas with a freelance business. What are the first few steps I should take as a new freelancer in regards to my money? What are common write-offs I should be aware of? How do I know if I should hire someone to do my taxes? Nacondra also gives her bookkeeping software recommendations which are Quickbooks Online, Xero, and Wave. In addition to getting your questions answered, I hope this episode gives you tips on how to be proactive, instead of reactive, in the money side of your business! You can learn more about Nacondra’s services here and head over to the Live Free Podcast Mastermind Facebook Group to share the steps you’re taking to grow your business the smart way! Thanks for listening! Download Nacondra’s Bookkeeping Spreadsheet here! « 37: Do you need to spend money to make money?